A collection of character face mats that clip onto players’ noses, Who Am I is a dressing up guessing game that gets you thinking, guessing, and above all laughing while your friends or family try to work out who or what they are by asking simple yes/no questions. The box contains 30 different face mats, which are shuffled and spread face down at the beginning of the game. 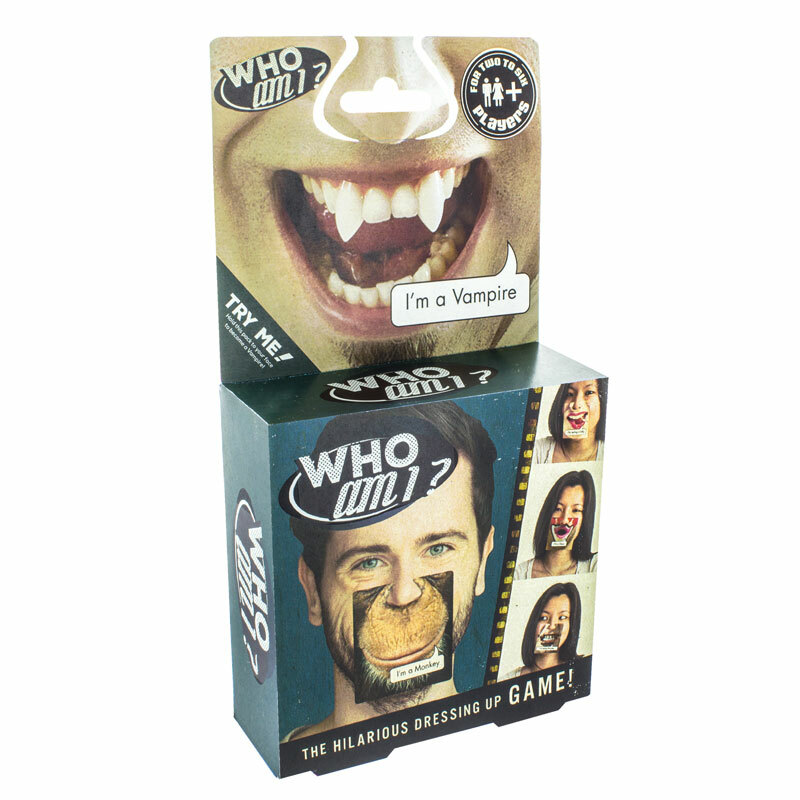 Each player attaches a mat to their face (without seeing the image on the reverse) and then has to work out what image is on their face mat by asking a series of questions, the answers to which can only be ‘yes’ or ‘no’. 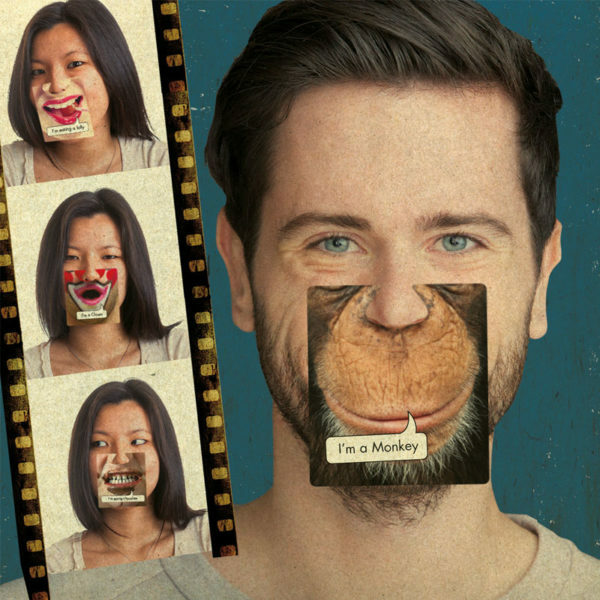 After each question, the player can attempt to guess what person, animal, or item they might be, with the winner being the first to correctly identify 4 different face mats. So are you a vampire, a zebra, or just eating cookies? Ask the right questions to find out! Easy to pick up and play, this is a great fun, simple to learn game suitable for 2-6 players.